If you’re looking for a simple and affordable method to lower cholesterol naturally, look no further than the tasty red treat. Strawberries work to lower LDL (“bad”) cholesterol. When it comes to cholesterol-reducing foods, many people think of garlic, salmon, or fresh vegetables; however, research increasingly shows that strawberries rank among the world’s healthiest snacks because of its ability to lower cholesterol naturally. A study published in the medical journal Metabolism reports that strawberries work to lower LDL (“bad”) cholesterol. Researchers followed 28 subjects with high cholesterol for 2.5 years. All of the subjects had been following a dietary plan aimed at reducing cholesterol by consuming oats, nuts and other plant foods with natural sterols. One group was assigned to eat three cups of strawberries per day for a month. The strawberry group had an additional decrease in LDL cholesterol levels compared to the other group. The more promising results indicated the strawberry group had lower levels of oxidized LDL cholesterol. 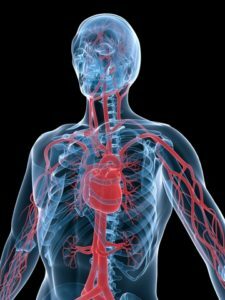 Oxidization occurs when LDL cholesterol is attacked by reactive oxygen molecules inside the walls of the arteries; oxidized LDL is dangerous because it produces inflammation and plaque deposits in the arteries, thus increasing the risk of heart attack and stroke. What makes strawberries a champion of cholesterol-reducing foods? Researchers believe it is due to their chemical makeup. Recently, scientists at the University of Warwick discovered distinctive extracts from strawberries activate a protein in the body called “Nrf2.” This unique protein works to lower both triglycerides and cholesterol levels. Strawberries are also loaded with antioxidants. In particular, strawberries contain the phytochemicals (naturally-occurring plant compounds) anthocyanins and ellagitannins, which are responsible for their bright red color. Interestingly, strawberries have higher values of antioxidants than many other plant-based foods. Scientists evaluated the antioxidant capacity of different American health foods based on common serving sizes. Strawberries ranked 3rd among all U.S. foods including spices, seasonings, fruits and vegetables; only blackberries and walnuts scored higher in total antioxidant capacity. 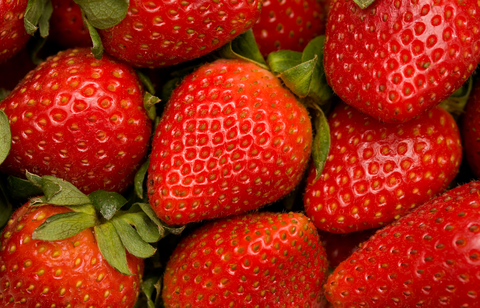 In addition to plant compounds, strawberries are high in vitamins and minerals. They are an excellent source of vitamin C. In fact, one cup of strawberries is packed with approximately 140% of the daily recommended value of vitamin C.
Strawberries also contain manganese, iodine, potassium, folate, vitamin B6, vitamin K, magnesium and copper. And to top it off, strawberries contain the healthy omega-3 fatty acids. How Many Strawberries Do I Eat to Lower Cholesterol Naturally? Most research studies indicate that you should consume between two and three cups of strawberries per day in order to achieve the cholesterol-lowering benefits. Since strawberries are pleasing to the palate, many people find they are relatively easy to consume. Remember, you don’t have to eat 2 or 3 cups all in one setting; you can divide portions. Also, try to be creative with your cuisines: Make strawberry smoothies mixed with your other favorite fruits; add strawberries to salads or drinks; or freeze strawberries and yogurt to make your own healthy ice cream. The only downside to strawberries is that unless you buy organic, you may be ingesting pesticides. Strawberries always appear in the Environmental Working Group’s “Dirty Dozen” most pesticide-laden fruits and vegetables. So, this is one fruit that is well worth the extra money to buy organic. Then, enjoy the taste and the health benefits of these amazing strawberries. “The effect of strawberries in a cholesterol-lowering dietary portfolio.” Metabolism. 2008 Dec;57(12):1636-44. University of Warwick, July 2012. “Concentrations of Anthocyanins in Common Foods in the United States and Estimation of Normal Consumption.”J Agric Food Chem. 2006 May 31;54(11):4069-4075. 2006. PMID:16719536.
add, antioxidant, antioxidants, bad cholesterol, cholesterol, cholesterol levels, cholesterol lowering, folate, food, foods that lower cholesterol, garlic, health, heart attack, high cholesterol, inflammation, iodine, ldl, ldl cholesterol, ldl cholesterol levels, lower cholesterol, lower cholesterol naturally, lower ldl, magnesium, metabolism, nuts, omega 3, omega 3 fatty acids, organic, oxidized, oxidized ldl cholesterol, pesticides, potassium, protein, reducing cholesterol, risk of heart attack, spices, stroke, to lower cholesterol, to lower cholesterol naturally, Triglycerides, vegetables, vitamin, vitamin b6, vitamin c, vitamin k, vitamins, vitamins and minerals, walnuts, yogurt. how is it you missed listing seal oil derived omega 3- 9 e p u f a’s and honeyberries / haskaps as natural foods? 2nd try at posting a comment. somehow you missed listing seal oil derived omega 3 – 9 e p u f a’s and haskap or honey berries to reduce cholesterol levels. politics religion who knows?